There are countless ways to communicate in today’s world. Mobile devices make communicating across the country or around the world available at the touch of a few buttons. Computers and tablets are inescapable whether at work, school, or home. Even elementary-aged children know how to maneuver through this digital age. There is no denying it – technology has never been more accessible. In 2017, the Pew Research Center reported: “nearly nine-in-ten Americans today are online, up from about half in the early 2000s” with roughly 77% of Americans owning a smartphone. Their study points out that while young adults were once the primary owners of smartphones, a wide range of Americans uses smartphones currently including both the lower-income and those 50 years and older. Stop the Piles of Paperwork – This is the easiest, quickest way to make the best of today’s technology. Put an end to those paper lease contracts. Don’t send out another piece of snail mail. Kiss goodbye tenant application packets too. Rather than piling up paperwork, create online documents accessible with the click of a button. Have prospective tenants apply through an online screening process. Use a digital signature when signing a lease contract. At Real Property Management SAC-METRO, landlords and tenants utilize personal online portals to view all their documents. Tenants can also submit maintenance requests through this portal. As a homeowner, utilizing online methods increases your profitability. You see shorter vacancy periods when using virtual resources. No more wasted time, waiting around for paperwork. An online approach to Sacramento property management is the way to go. Market Your Home Online – When potential tenants are searching for houses for rent in Sacramento County, they need to be able to find your information and find it fast. Tenants do not want to drive around for hours trying to locate “For Rent” signs throughout neighborhoods. You are doing yourself a disservice by not marketing your rental home online. Use a variety of sites and resources. Create digital tours of the property. These online virtual showings allow tenants to view your unit at the time and place convenient for them. Then also give tenants the ability to schedule a live showing by submitting an online request. 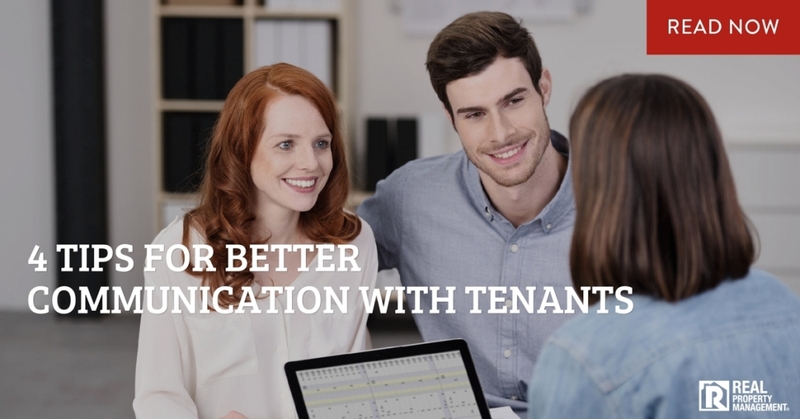 Keep Communication Clear and Concise – When managing rental properties, Sacramento investors cannot afford messy communication with their tenants. Make sure there is a “paper trail” of your interactions. In today’s digital age, that trail applies to more than a literal stack of papers. This includes emails, online documents, and texts as well. This does not include phone calls or in-person conversations. There is no substitute for written communication. Document everything. Otherwise, you face a high level of risk and liability if caught in a legal battle. The last thing you want is to be stuck in a he-said, she-said situation. Also, remember that texting may or may not stand up in a court of law. Be careful what information you choose to confirm with your tenants through text. Be Respectful – You can use digital devices to communicate with your tenants instantaneously, but should you? Just as you would not show up at someone’s doorstep at midnight, you should not send a text to your tenants at midnight either. Consider yourself a business owner first and foremost. Act like a professional in Sacramento property management. When you communicate via text or email, use correct grammar and spelling. Be courteous, kind, honest, responsible, and straightforward. Do not be rude, degrading, or emotional. If all this digital talk is not your cup of tea, you might find yourself in a pickle. Today’s generation thrives off of digital interactions. You need to use technology to be competitive among other landlords with houses for rent in Sacramento by owner. Take advantage of online resources and eliminate piles of paper. Give yourself the best chance at finding qualified tenants and decreasing extended vacancies by marketing your home listing across the Internet. Document all tenant interactions and do not take shortcuts. Remain respectful and polite no matter the circumstances. Looking to Partner with Professional Sacramento Property Management? Are you overwhelmed by the ongoing responsibilities of being a landlord? Let the team at Real Property Management SAC-METRO help you. With more than 30 years of experience, we know how to get you a better return on your rental properties. Sacramento investors can trust our experts to increase their cash flow and safeguard their investment business. Learn more about our hassle-free leasing cycle. Call Real Property Management SAC-METRO and put our experienced team to work for you.